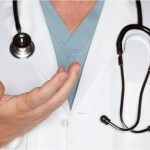 Could Fatigued Doctors Be Causing Car Accidents Across Dallas/Fort Worth? Medical interns are often fatigued and under extreme stress due to the pressure of their studies and work demands at their training hospitals. According to research from the Mayo Clinic, 11 percent of medical interns surveyed admitted to getting into a car accident while completing their internship. Nearly 43 percent reported a near-miss accident. The combined pressure and lack of sleep may mean that interns are getting into accidents across Dallas/Fort Worth, which are caused by fatigued driving. While the number of hours that medical interns work could be reduced, because the culture of the medical training system has always functioned this way, there is not much pressure to change. That fatigue may also contribute to medical mistakes and potential medical malpractice claims in the Dallas and Fort Worth area. If doctors and interns are too tired to drive, they may also be responsible for misdiagnoses and other preventable mistakes because they are too tired to focus on their job. Experts agree that changing the training and study culture could prevent personal injuries caused by medical mistakes and traffic accidents. Where does liability fall for these accidents in DFW Texas? If you are injured in an accident involving a fatigued driver, who is responsible? In most cases, the fatigued driver, but proving fatigued driving may be difficult. In some cases, if a medical intern caused an accident, the place of work may be held partly liable as well. Work and school records will be used as evidence of too many scheduled hours and too little time left for sleep. If you have been injured in a car accident in Texas call the experienced lawyers at Parker Law Firm today at 817.440.3888.